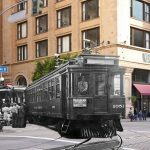 Los Angeles Transit Lines (ex-Los Angeles Railway) car no. 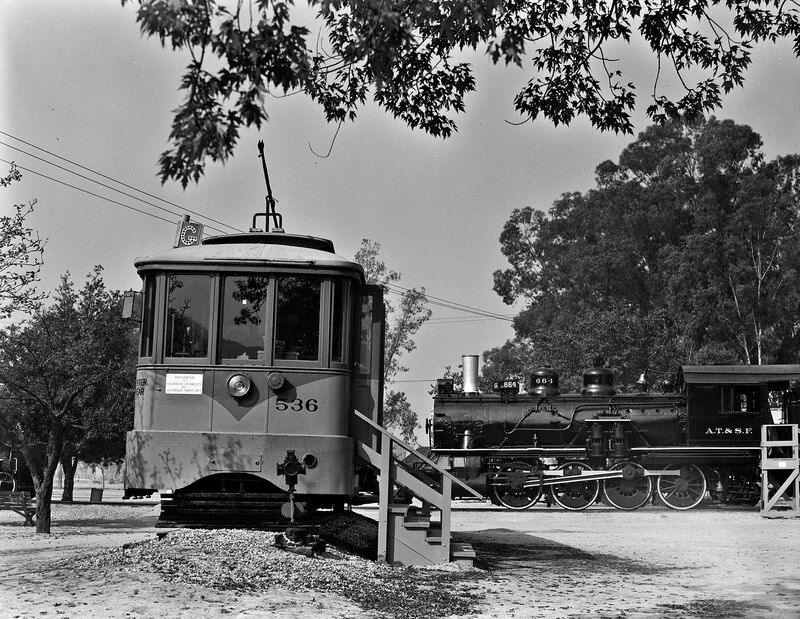 536 sits peacefully in its final resting place at Los Angeles Travel Town circa 1960. As noted in this post, 536 would suffer an ignoble fate when an adjacent tree would blow over during a windstorm and damage the car irreparably. It was salvaged by member of the Orange Empire Railway Museum. If you take notice, in this photo taken by Don Duke in 1960, there is a “G” line slat in the roof sign box, and PE #1001 and LATL #1160 are gone, moved to In the post card shot taken in 1956, there is no slat in the roof box..
Part 2 of first message: PE #1001 and LATL #1160 are gone, moved to PERRIS around 1959. In the post card shot taken in 1956, there is no slat in the roof box.